For those outside the Boise media market – this discussion may be a bit puzzling. But please pay attention: The games at play in the capitol city hold great consequence for you and your family. Yesterday, the Idaho Statesman published a guest opinion by former governor Phil Batt. In it, he recounted the glory days when speakers of the Idaho House were “paragons of fairness”, and chastised the current Speaker of the House, Lawerence Denney, for his heavy hand in punishing those who did not support his bid to hold the speaker’s chair. This is not the first shot at Denney. The Statesman and their liberal minions in the legislature have been waging a campaign of whine for sometime now – accusing Denney of being hard on those endangered RINOs still left in the House. 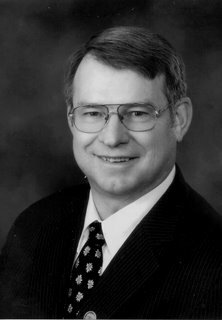 Outgoing Rep. Bob Ring, for instance, was featured in a lengthy article in which he described his days of darkness under that brute, Lawerence Denney. Some of Ring’s whackiest ideas were not even being considered by the Legislature, and that must be Lawerence’s fault. Ring even claimed that he was denied a chairmanship on a panel where there is already a sitting GOP chairman with greater seniority. In Ring’s twisted and self-centered view, Denney ought to have stripped Chairman Block of her committee and given it to him – at least if Denney was “fair”. Both Ring and Batt are full of dribble and guilty of avoiding the underlying facts in order to better deceive Idahoans into thinking that some right-wing fascist has suddenly seized control of the Legislature. Both gentlemen are unabashed social liberals. Both are supported by the ACLU for their liberalism on issues like abortion and gay rights. So let’s establish one fundamental consideration: They both dislike Denney because he is an unapologetic conservative. But rather than have the guts to come clean and accept the consequences of their unpopular views, they hide behind rhetoric designed to mislead people into thinking that the democratic process has somehow been repealed by Speaker Denney. Instead of humbly accepting the simple fact they are grossly outgunned by conservatives in the Idaho Legislature, they would rather blame and malign the Speaker for their failings. But these guys and their co-conspirators at the Statesman editorial board also deceive on another level. We have just survived the tenure of one of the most heavy-handed speakers in Idaho history. Bruce Newcomb was famous for his temper tantrums and threats against lobbyists, members of the public and other legislators. I witnessed many of these outrages first-hand, and suffered a few personally. The contrast between the Denney and Newcomb temperaments could hardly be greater. But, of course, the central difference is the ideological complexion of the two speakers. Batt and the Statesman were undisturbed when former legislator David Callister endured years of abuse at Newcomb’s hands – because Callister was a conservative. And no outrage was expressed when Newcomb abused his authority by stripping Bill Sali of his chairmanship because Sali would not kow-tow to Newcomb’s liberal agenda. I don’t remember any Batt speeches from on high when Newcomb punished Rep. Tom Loertscher for years because he had the audacity to challenge Newcomb. The most ironic and unfair part of this whole fabrication is that Denney has taken quite a lot of heat from conservatives – both in and out of the Legislature – for his refusal to punish those who failed to support him for speaker. He retained Bill Deal as chair of the House State Affairs committee, despite the fact that Deal ran against him. He kept Max Black on as chair of the Business committee, even though Black was a chief lieutenant for Bill Deal. The list goes on. I’ve probably said too much already, but it is just too hard to sit back and watch a fine man like Lawerence Denney repeatedly and unfairly maligned. More importantly, voters around Idaho must tune into the fact that there is a carefully orchestrated media and political campaign underway to revive RINO numbers in the Idaho Legislature. These stories and moans from the likes of Phil Batt and Bob Ring are an attempt to lay the foundation for a moderate resurgence in next year’s legislative primaries. Like many notorious liberals – Hillary Clinton comes to mind -- these gentlemen and their allies in the media do not want to talk about issues and results, but “process”. It is a strategic misdirection that works all too often. Subscribe to Idaho Chooses Life commentaries. Add this RSS feed to your Outlook or Outlook Express. Get Idaho Chooses Life Posts on your cell phone.